Back in January 2011, I reported that Adidas lost in court against Galel Yassin, a West Bank Arab who imported sports shoes with four stripes. See West Bank Arab Prevails Against Adidas – Four Stripe Cheap Training Shoes Do not Infringe. Adidas appealed the ruling by Judge Michal Agmon-Gonen but lost again! The judges ruled that the word Sydney displayed prominently on the shoes made them sufficiently different from Adidas’ shoes, that there was no likelihood of confusion. They further ruled that there was no unjust enrichment, no passing off and no dilution. Judge Chayot ruled that intellectual property was a basic right protected by the Basic Law of Property. She considers the specific three stripe mark problematic and notes that there are decisions for against Adidas in similar cases abroad. She also noted that Judge Gronis (now Head of the Supreme Court) gave Adidas an injunction, indicating that in his opinion, they had a case. After pontificating about the triple test, she dismissed the appeal, and ruled that Adidas should pay NIS 25,000 lawyers fees to Yassin and also for storage of the shoes. Judge Rivlin dissented on grounds of Unjust Enrichment. In Rivlin’s analysis, the law of trademarks doesn’t cover cases where there is no likelihood of confusion and purchasers willingly purchase counterfeit goods. He would therefore apply Unjust Enrichment, expanding the A.Sh.I.R. case. With some reservations, Judge Elyakim Rubenstein backed Judge Chayot and noted that in previous rulings concerning Adidas by Judge Gronis, now President of Supreme Court, the issue raised was comparing trademarks and not shoes as a whole. In other words, there was precedent that four stripes are confusingly similar to three stripes and a word like Sydney should have no effect. Rubinstein notes that Yassin’s shoes recall Adidas’ but there is no real likelihood of confusion. Rubinstein rejects the social activism of Agmon-Gonen, but thinks that the word Sydney prevents confusion. Rubinstein notes that both Joseph and Tamar, Daughter of King David wore striped garments and considers stripes to be general forms of decoration. He also related to a decision concerning Klil who marked their profiles with three stripes. Rubinstein does, however, correctly point out that the A.Sh.I.R. ruling related to identical copies of goods not registered and therefore disagreed with Rivlin that it could be applied to any case where there is no infringement merely because of an assumed loss of income to Adidas, not proven. Rather surprisingly, he cited the Talmudic concept of one benefitting from goods of another without the other suffering a loss (Talmud Babli, Baba Kama 20:1). Where all three judges agreed however, was that they rejected the social activism of District Court Judge Michal Agmon-Gonen that cheap look-alike brands should be available for the financially challenged. Chayot is wrong to consider trademarks as basic property. Copyright, patents and designs protect creativity. Trademarks are fundamentally different. They indicate the origin of goods. I am not sure I agree with Rubinstein re Sydney on shoes removing the likelihood of confusion. Sydney is a place name. It was the site of a previous Olympic Games. Is it too much of a leap of imagination to consider that Adidas might add place names to a line of their shoes? Is the issue only one of likelihood of confusion of purchaser? What happens if someone sells fake goods as fake goods? Will third parties necessarily know that the goods are fake and what they cost? I don’t think either of the Biblical examples of striped clothes, nor Klil are particularly relevant. Three stripes of a certian thickness on the sides of a shoe, are still different and distinct from striped garments per se. Klil make window frames by extrusion. The only non-functional decoration that can be extruded is a line or stripe. The only way to mark their goods was with stripes. Rubinstein’s application of the Talmudic principle of benefiting without causing damage to third party is also a little weird. The principle is generally used to argue that Hebrew Civil Law does not recognize copyright infringement in listening to music or downloading films if one would not pay the price. It is a strange twist to apply this to trademark law as argument against dilution. The ruling is problematic. Adidas makes an enormous range of shoes. The common feature is the three stripes. It is reasonably to argue that four stripes are not confusingly similar to three stripes, but arguing that other graphics or words are present implies that the average user is familiar with Adidas’ various models. This is not the case. Nor is it relevant. A trademark should enable a company to identify itself by the mark, regardless of other features. 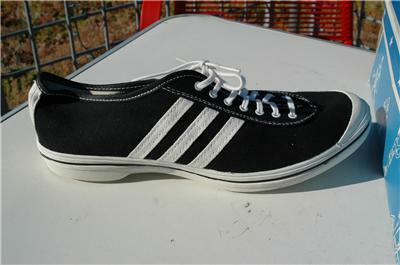 The four stripes were put on sports shoes. If the shoes are of comparable quality, there is a likelihood of confusion. If they are put on cheaper shoes, even if there is no likelihood of confusion, there may be a case of dilution. The only issue to my mind is whether three stripes and four stripes are confusingly similar. I think Rubinstein is correct not to apply the Law of Unjust Enrichment in cases where there is no IP infringement, and personally believe that A.Sh.I.R. should be relegated to the garbage can. That said, I don’t understand why in light of the principle of Unjust Enrichment, one cannot argue trademark infringement more broadly, to cover cases of third parties being confused and dilution. Whether or not the four stripes on the shoes in question are confusingly similar to three stripes is an interesting question. Three marks may once have been a weak trademark that was a form of decoration, but it is now a very well-known mark on shoes. It indicates the manufacture. All in all, an interesting but not particularly erudite decision. The case is a difficult one though. Still at least the judges were attempting to grapple with IP issues and not trying to solve social ills.